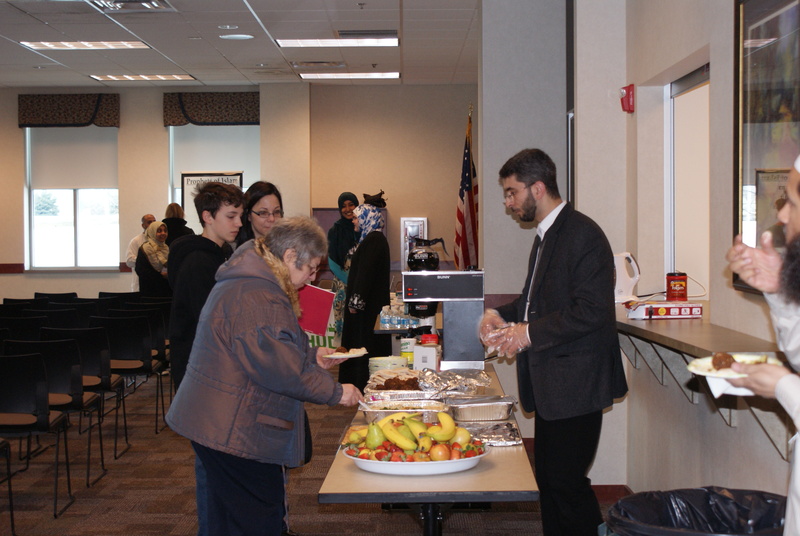 Masjid Al-Huda’s Outreach Team conducts a series of events at area libraries. With the goal of clearing up misconceptions about Islam and providing authentic information, we distribute Pamphlets, Books, and Qur’ans to everyone who visits. We have addressed various topics such as Freedom of Speech in Islam. Our guests are treated to an informative lecture and discussion as well as a taste of our cultures in the form of snacks from various parts of the Muslim world.